Find out how the program works for school districts and childcare facilities. IPM STAR Certification offers a pathway to practicing advanced Integrated Pest Management in your school or childcare facility. IPM STAR certification begins with a 37-point on-site evaluation of your school or childcare facility’s current pest management program and practices. Our independent evaluator will visit your facilities and examine your program’s pest management practices and procedures, including a tour of your facilities to examine structural and behavioral conditions that may be allowing pests to enter and thrive. Participants who receive the initial report detailing these practices have an opportunity to respond to open minimum requirements and score deficiencies. Once all minimum score requirements are met, participants become fully IPM STAR Certified and receive a certificate, plaque and media release celebrating their accomplishment. IPM STAR evaluation is useful as a baseline self-assessment of current pest management practices, or as a pathway to transitioning to a full IPM program in your school. An IPM STAR evaluation report can work for you as an impartial, third-party assessment of the pest and pesticide hazards in your facility and can be powerful in motivating behavioral change. The IPM STAR program is supported by grants and fees from certified participants. 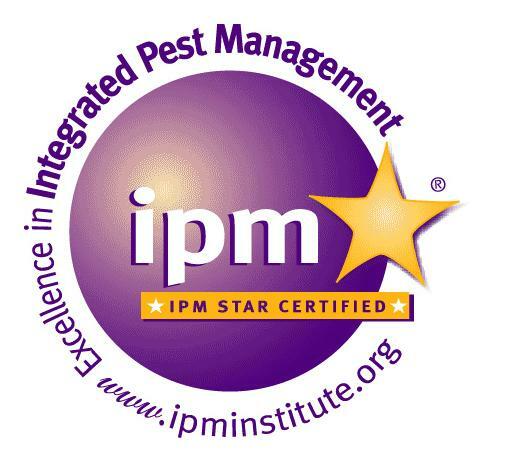 If you or your facility is interested in becoming IPM STAR Certified, please contact us for information on cost, application materials and evaluator availability dates.